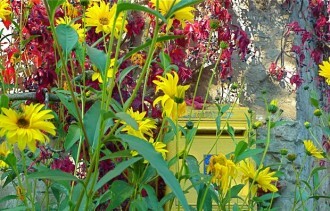 Fall at Giverny: A yellow post box is nearly hidden by late sunflowers entangled with a bright crimson vine. Monet couldn’t have planned it better. 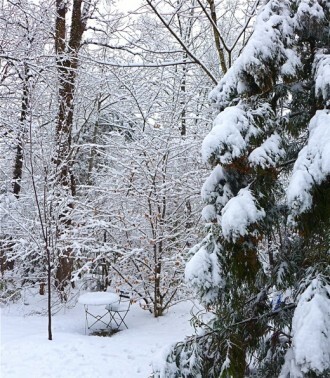 It was 47 degrees yesterday morning. Is summer finally over? I lay in bed, thinking of everything I have to do. With a chill in the air, my to-do list is short but urgent. •Pick three pounds of ripe crabapples. 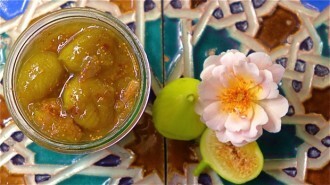 No time to make that shimmering, rose-colored jelly, but crabapple simple syrup seems doable and appealing. Cocktails anyone? •Clean up the potted tropical garden. Get rid of tattered banana leaves and insect-riddled angel’s trumpet; tuck bulbs into bed for the winter. With all this on my mind, you’d think I’d get right to work. 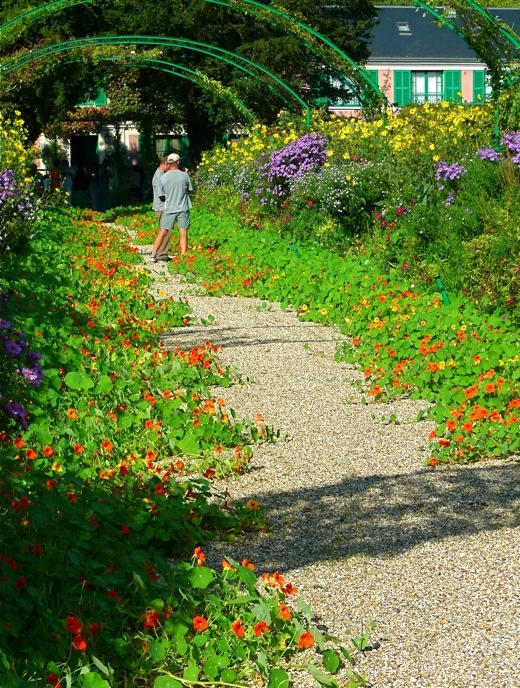 But no, instead I spent hours wallowing in the beauty of Claude Monet’s garden at Giverny. 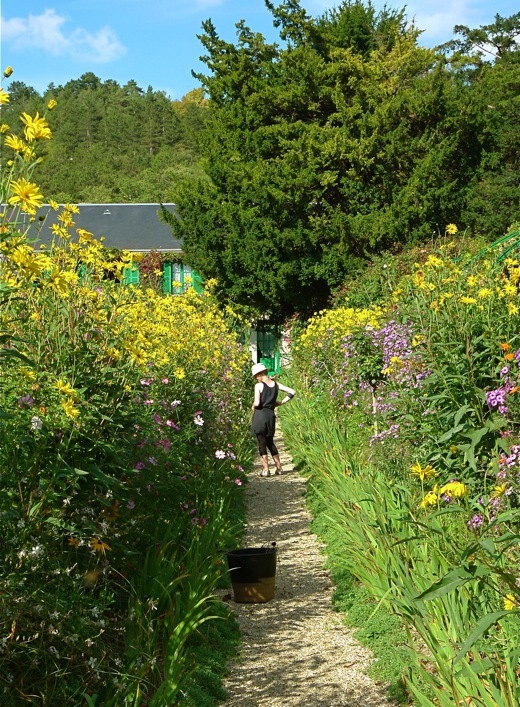 I was in France this very week just two—wait, it was three—years ago and oh my, it was glorious. It was early October and unseasonably hot. 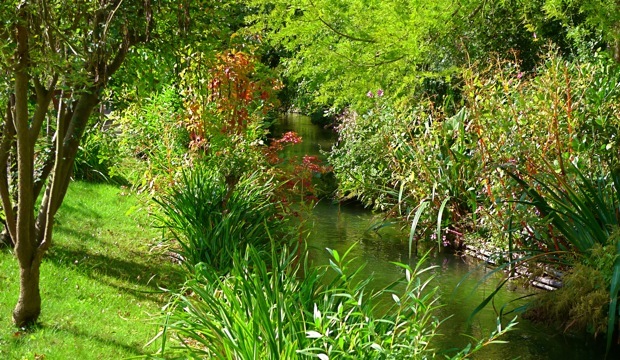 But the great Impressionist’s garden was lush and green, as inviting as a cool dip into a woodland stream. 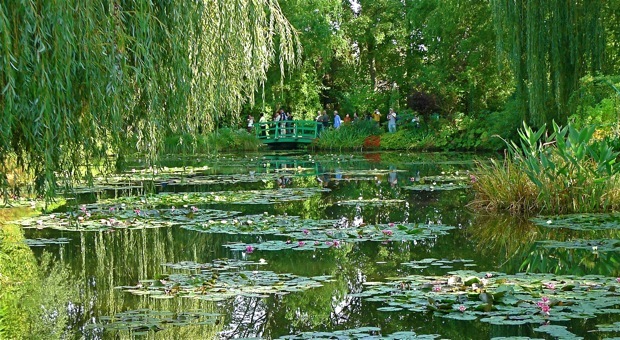 Giverny is just an hour or so from Paris, on the edge of Normandy. It’s said that in 1883, at the age of 43, Monet glimpsed the village from a train window and, lovestruck, rented a house and garden there. 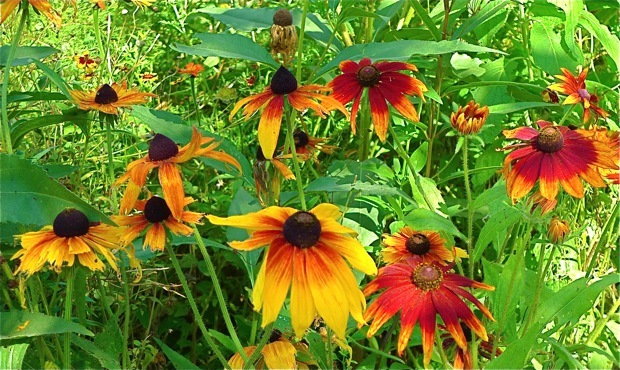 As his fortunes improved, he was able to buy the property and begin creating the remarkable gardens that served as inspiration for so many of his paintings. 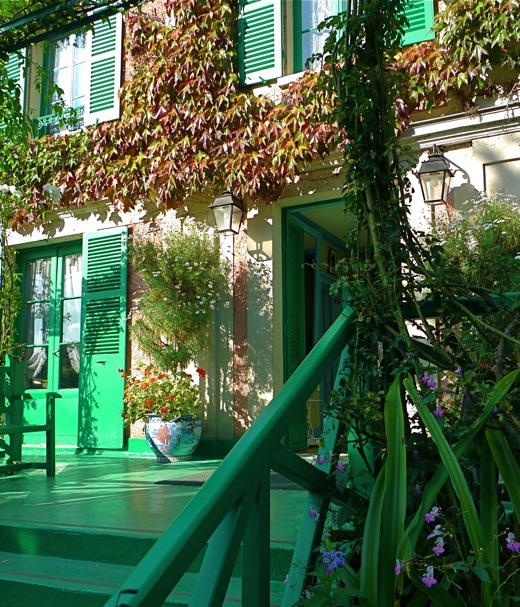 In all, Monet lived and worked here for 43 years until his death in 1926. 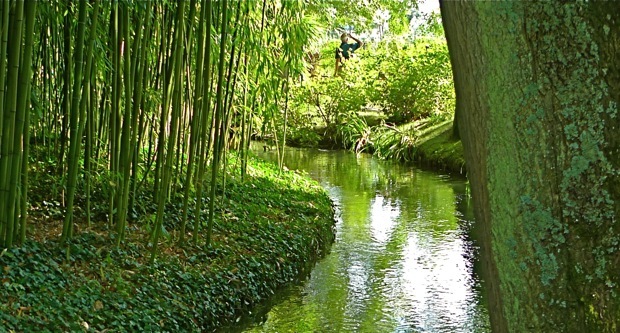 The Ru feeds the now-famous lily pond shaded by weeping willows. Monet planted hundreds of water lilies with blue and yellow blossoms, as well as a white French variety that turns pink with age. 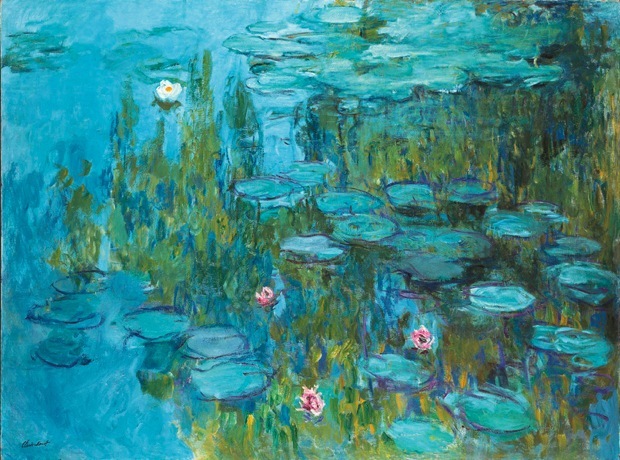 A wondrous (if unintended) consequence: the waterlilies inspired roughly 250 paintings, including some of his best known works, which you can see here and here. Water Lilies and Japanese Bridge (1887-89) via Wikimedia Commons. 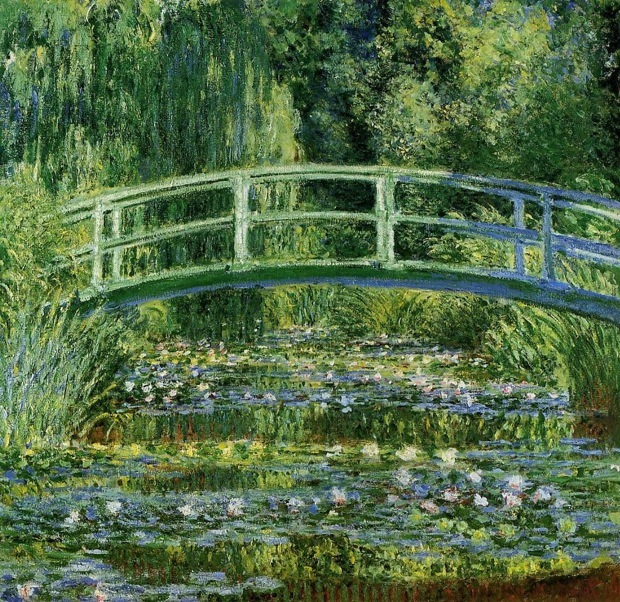 In Water Lilies and Japanese Bridge, an early vertical painting of the lily pond, the green arched bridge, typical of those found in Japanese gardens, is the focal point. According to Forbes, Monet had a “lifelong love affair with all things Japanese” that began in 1871 when he first saw Japanese prints being used by Amsterdam merchants as wrapping paper. Over the next half century, he collected 231 woodblock prints by artists such as Hokusai, Hiroshige and Utamaro. 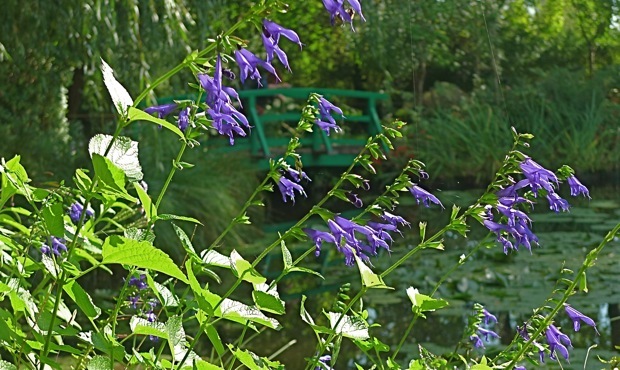 Many of these works can still be found in the house at Giverny. Nympheas, 1915, via Wikimedia Commons. His passion for Japanese artistry not only influenced the design of the water garden, but also changed the way he depicted landscapes. His paintings became more asymmetrical and two-dimensional, and his colors were brighter and more electric than the murky hues used by more traditional artists of the time. 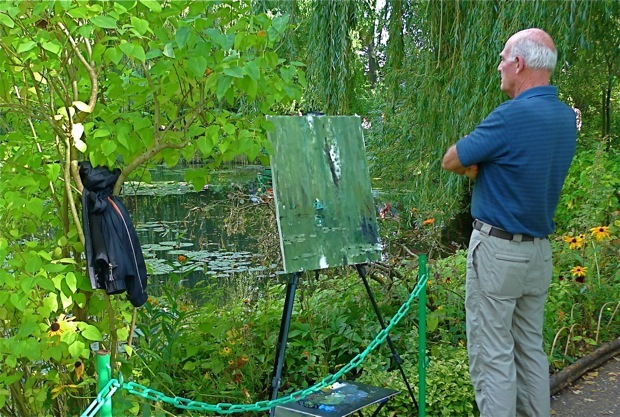 Today the idyllic water garden draws artists of varying talents eager to set up their easels for an afternoon’s (or a week’s) diversion. Everyone is a critic, of course. What do you think ? 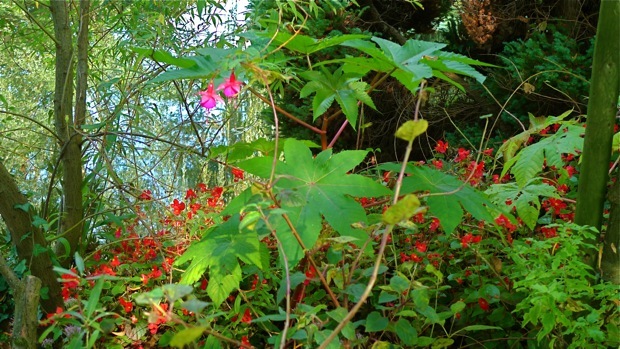 I was bowled over by the apparent wildness of this part of the garden. 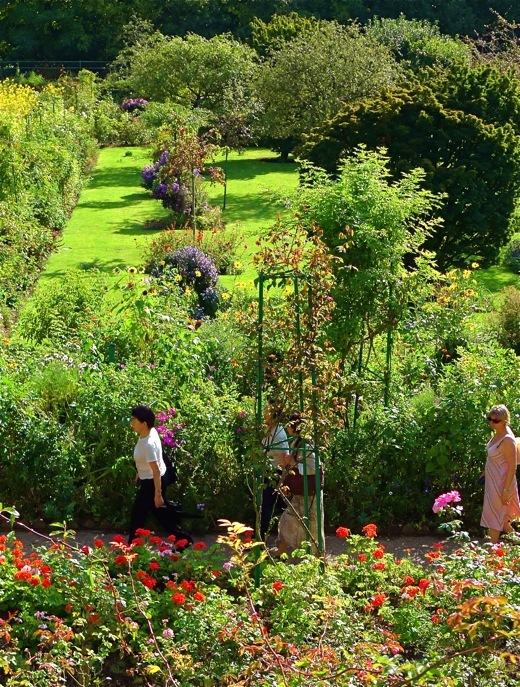 Although Monet had a grand vision of the landscape and made detailed work drawings—at one point he had seven gardeners executing his plans—the plantings look completely natural. 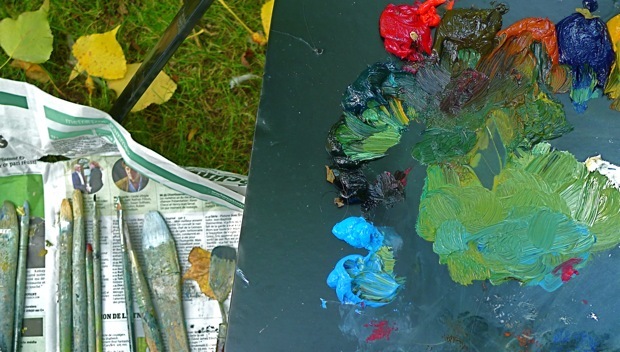 Over a century later you can still feel an artistic sensibility at work (or play), one that abhorred neat and tidy design. 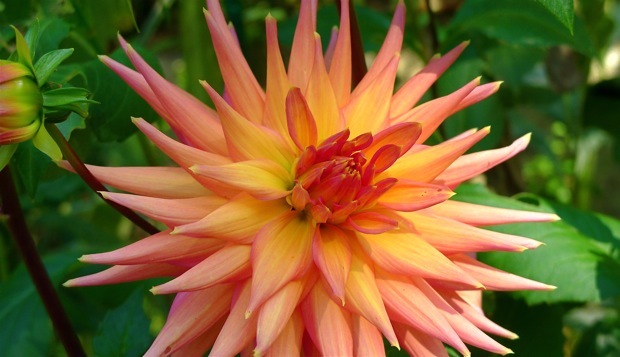 Nearer the house, the beds were filled with giant cactus dahlias exploding in shades of apricot and tangerine. 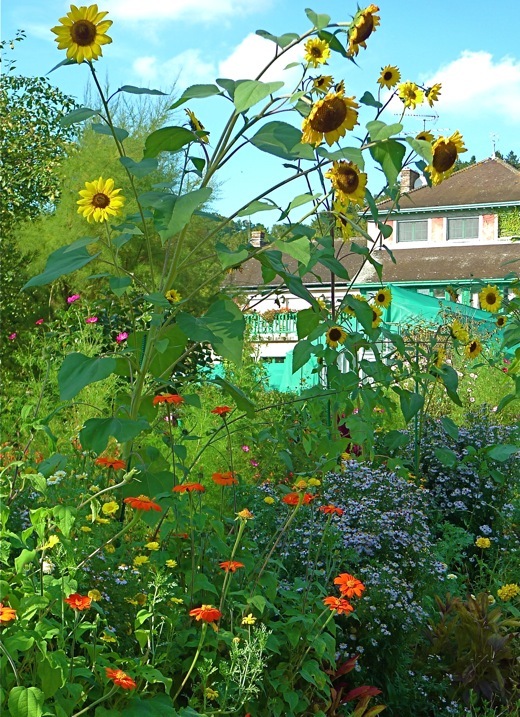 Then the pink facade of the house and its distinctive green trim appeared through a scrim of late sunflowers and fiery zinnias. 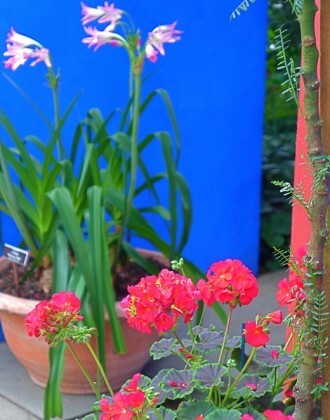 It’s said that Monet specifically chose colors for his house that would complement the garden. At the time, for instance, most houses had boring grey shutters. And broad green arches that lend structure to vines and flowering shrubs. 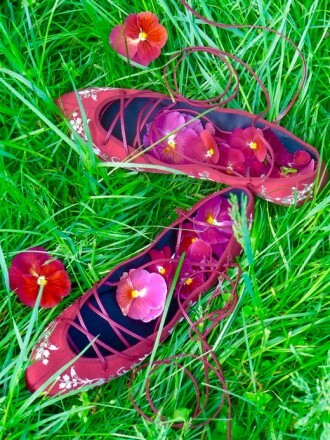 That fall, the pink roses had bloomed their last, but a sea of nasturtiums created swirls of color at one’s feet. 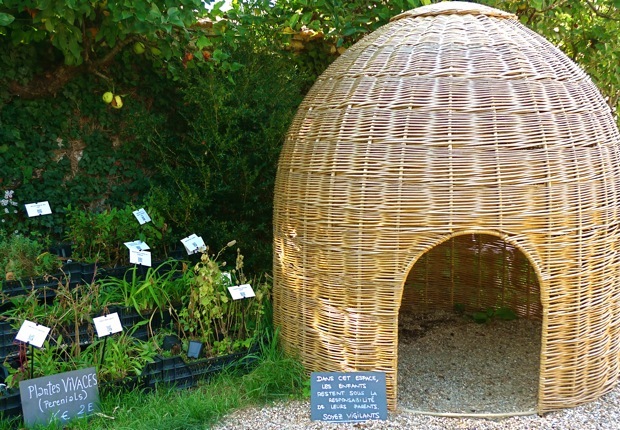 Enclosed grassy plots like this one allow the eye to rest for a moment. Note the perfect placement of the wheelbarrow. Can you imagine waking up to this view on a warm fall morning? I loved Monet’s tiled kitchen—somewhere I read that he considered himself a better cook than painter—but you’ll have to go here to see it since visitors aren’t allowed to take pictures inside. And while you’re at it, feast your eyes on the bright blue parlour and sunny dining room. Shy with color he was not. 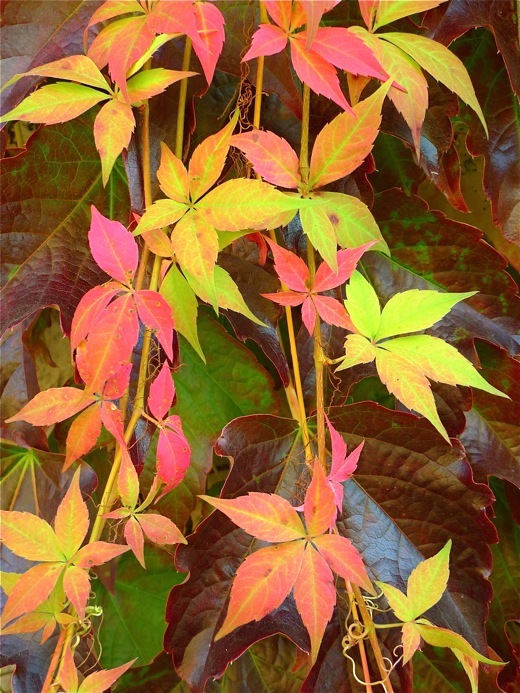 Outside the Virginia creeper covering the façade was already turning red—a sure sign of cooler weather to come. In the town itself, there was lots more ivy, all of it in luscious shades of crimson and burgundy. How I wish I had this variety at home. Oh, my. 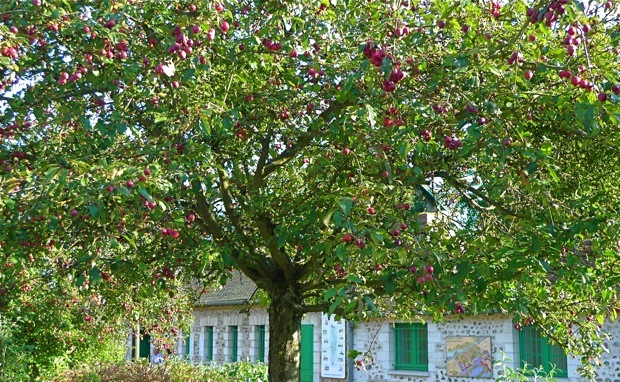 I’d forgotten this magnificent crabapple tree. 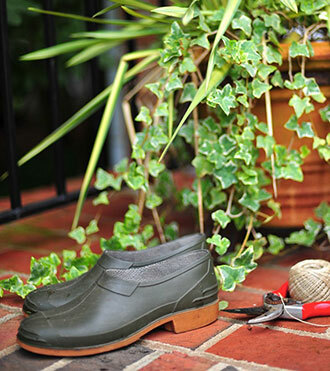 Like our own, it was heavy with ripe fruit—a timely reminder of the garden chores that await. A bientot–see you when my work is done! ah monet. 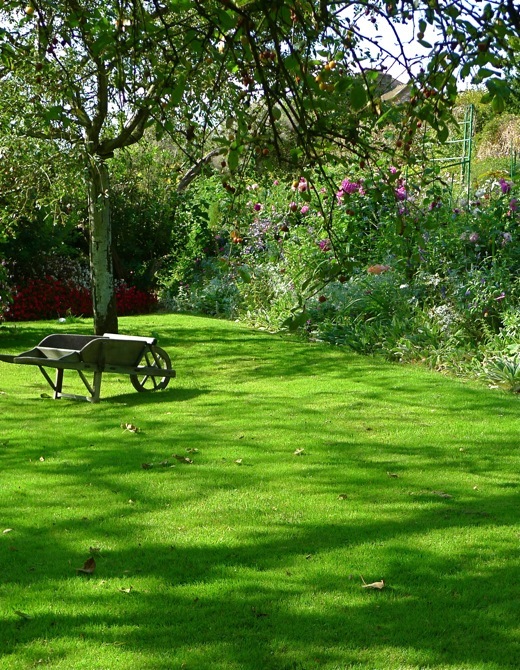 his dazzling light often abolished haystackand nature.it is good that we can grasp the whole meaning of his garden. Courtney: love Giverny..we were just in Sweden, Copenhagen, and then Paris. Left Saturday. Wasn’t as warm and sunny as your pictures. Hope all is well.